Ideal for a number of applications including draining construction sites, swimming pools, water from roof tank of buildings and more, the Koshin Ponstar PXL-52522 Puddle Pump is a submersible drainage pump suitable for clean water applications and can reduce residual water height as low as 1mm. The pump features twin mechanical seals, one carbon and one silicon in a lubricated chamber. The design is compact, making it 20% smaller than comparable pumps and a tough coated exterior protects against rust, with the impeller and volute plate are made from a special rubber to triple the lifespan compared with traditional cast iron. 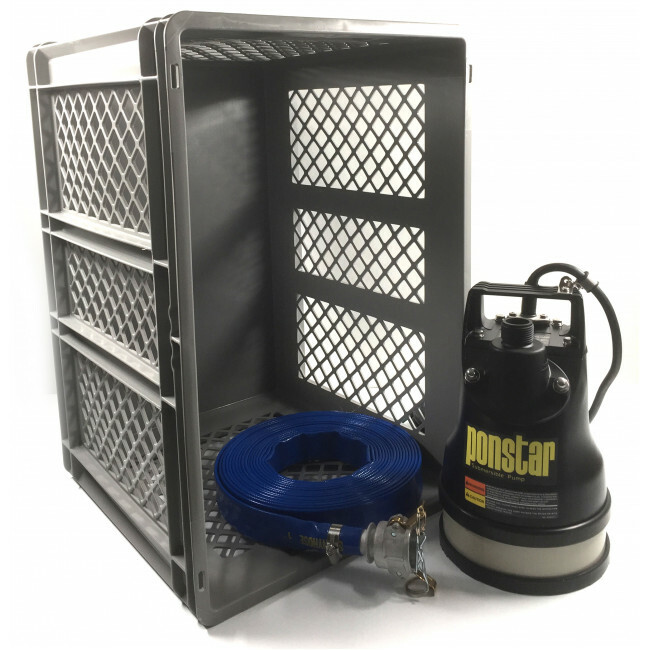 The Ponstar is also designed so that the delivery flange can be altered from vertical to horizontal positions simply by adjusting two bolts to prevent bending of the hose.